JZero Solutions can provide a range of different solutions to meet your learning strategy needs. Our experience has shown us that one solution does not fit all, and so we have built our products and services around being flexible and adaptable to individual client requirements. 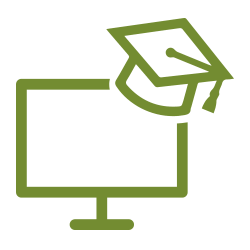 The backbone of all of our solutions is JLMS, our Learning Management System. Having been built with adaptability in mind, it can easily integrate with other systems to provide a seamless solution inside your corporate processes. It is available either in full Enterprise configuration, which enables access to all features, or it is available in the 'Lite' version, which combines ease of use, operation and installation. Whatever your requirements are, we have found that our LMS consistently obtains high 'fit-for-purpose' scores when compared to competitive products. Find out more about the Products that make up our LMS Solution. 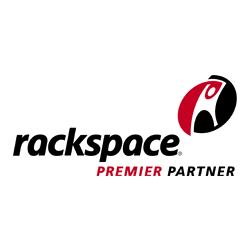 JZero is a Rackspace Premier Partner. Our hosting solution offers full managed hosting and security that is second to none. We can provide a completely hosted solution that allows you the advantages of the LMS without the trouble of providing the infrastructure necessary to utilise it. Our high capacity clustered server farms feature advanced failover and high load features, giving you the full advantage of a 24x7 high quality support infrastructure. This option is a highly popular due to the cost saving afforded to the client in terms of infrastructure setup and maintenance costs. If you are looking for a hosting solution, contact us to discuss the options available. Data security is always near the top of any client's requirements list. We recognise that some clients need to have an LMS that is installed behind the firewall as their sensitive data just can't be held on external systems. JZero can provide all the necessary services and support to make this a low maintenance and low administration solution. We are ISO 27001 certified which provides safeguards and controls as the basis for an Information Security Management Systems (ISMS). This is designed with the protection of all your customer information in mind. 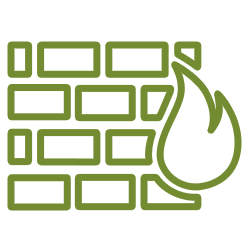 Many of our administration and support tools are built to easily facilitate behind-the-firewall solutions. If data security is an important requirement for you, talk to us about how we can help.